There is no lack of desserts when I host an event – tell me 20 people will show, and I’ll make enough for 50. My Oscars Party was no exception. It also gave my creative edge a challenge – as you read in my last post, each dish was paired with a nominated film. Some of the pairings were a bit of a stretch (cocktail wieners with Hugo? ), though it was fun to do nonetheless! These were definitely two of the stars from the evening’s spread (as were the films with which they were paired): Mini Chocolate Pies and Black & White Cookies. 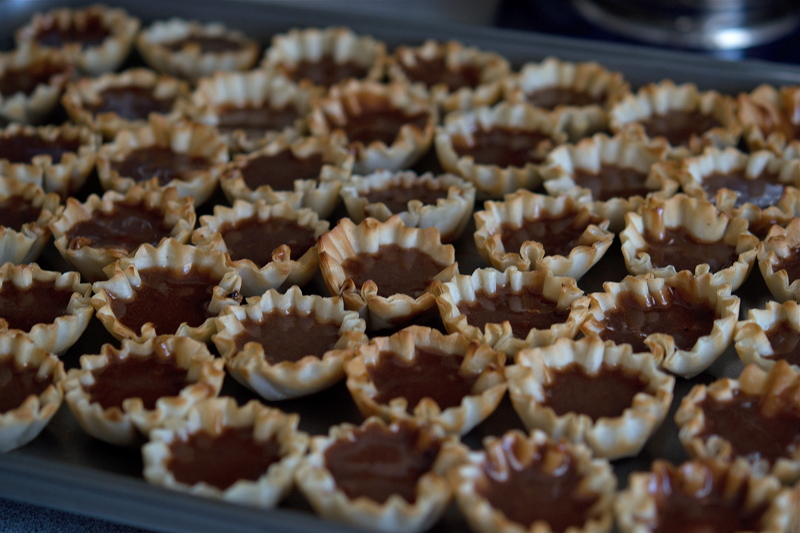 For those of you who read the book/saw the movie, it’s no mystery that I paired these Mini Chocolate Pies with The Help (definitely worth seeing if only to understand why this is the case, though it is a great movie). 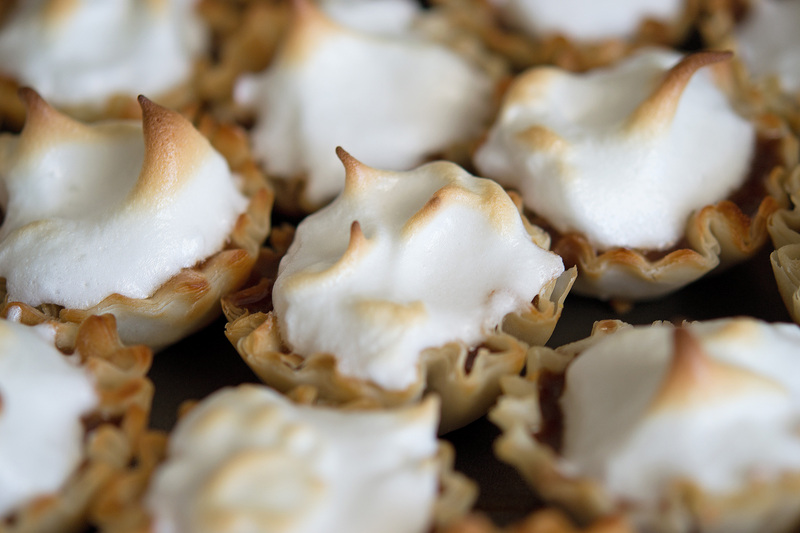 They’re quite simple to make – I purchased several packages of phyllo mini tarts, made a simple chocolate pudding to fill them with and topped each with a dollop of meringue. Your guests will think you put in WAY more effort. Click HERE to see how to make these adorable bite-sized treats. 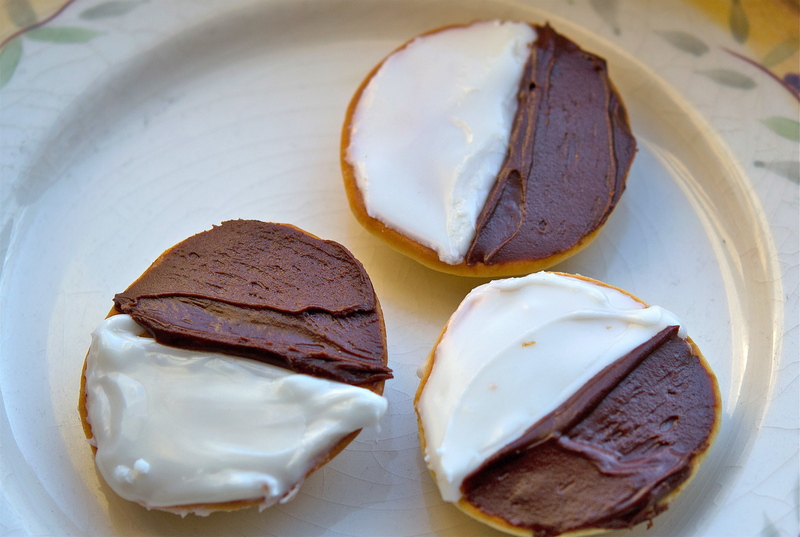 Black & White cookies are classic, and I had always been curious to give them a try. They were paired with The Artist (a literal pairing, granted) which was hands downs my FAVORITE movie of the year – I practically leapt from my seat every time it won an Oscar. These are more cake-like than your average cookies (thanks to the use of cake flour), and are topped with a thick, glossy icing that takes seconds to make. 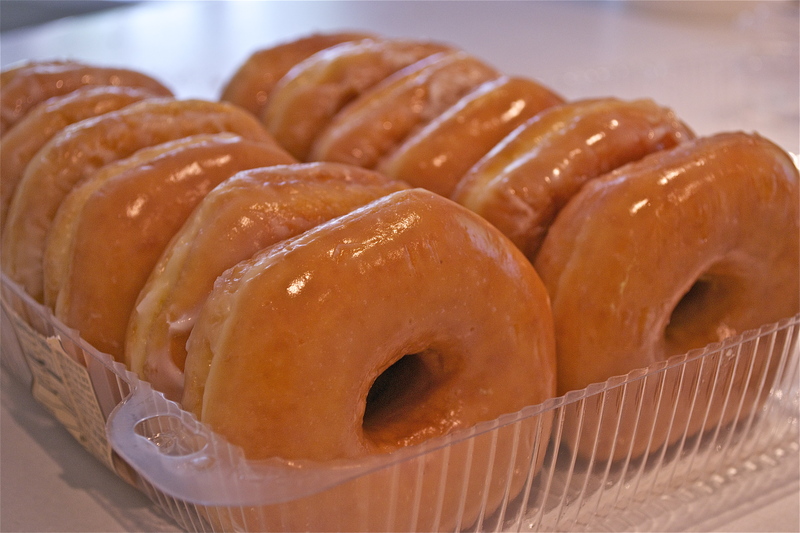 They were a huge hit at the party, and I imagine they’ll be adored at your next event as well – click HERE to see how to make these sweet classics. I wanted the musical pairing for these two desserts to acknowledge their “bite-sized” enjoyability – both also compelled my more creative edge. That led me to consider fulfilling works that can also be defined as “short and sweet”; musical novellas if you will. With this in mind what better pairing than Schumann’s Fantasiestücke, Op. 12! Inspired by a collection of novellas by E.T.A Hoffman, the eight pieces within the work capture different the moods and thoughts of Schumann’s dual identities, known as the characters “Florestan” and “Eusebius.” Seeing how both of these desserts brought out my more creative edge, I felt the dreamer in Eusebius would be the best fit and thus chose the first of the eight pieces: “Des Abends” in D-flat major. It’s gentle melody lulls the listener into an ephemeral state of serenity; refuge from the noise and chaos of reality (a similar experience to be had after trying one of the delicious treats in this post). Enjoy! There are very few who will say no to a peanut butter/chocolate combination (I’ve stressed the draw of this “super couple” a number of times on this site). 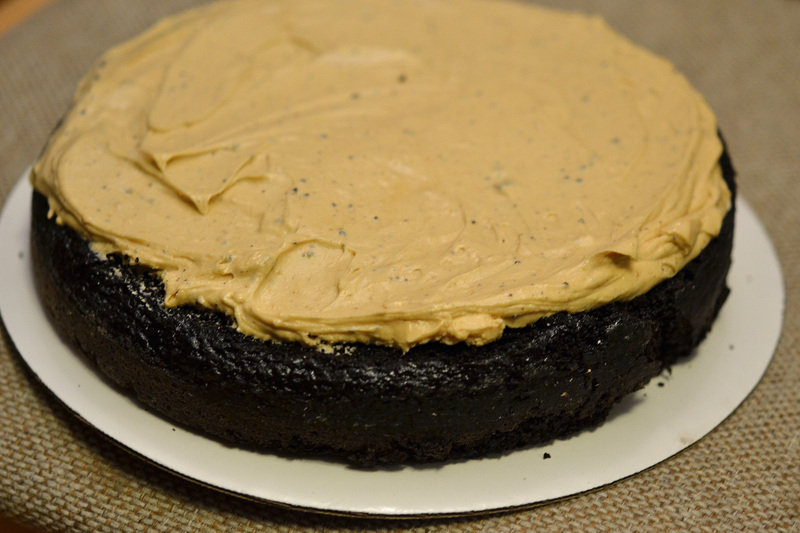 That being said, I can’t quite say there’s been a cake as dangerously addictive as this one – the perfect balance of a rich, dark chocolate cake with a light, heavenly peanut butter frosting. I had volunteered (again) to be the baker for our office’s January birthdays celebration – it’s a busy time of year, so I wanted to bring in an extra-special treat. 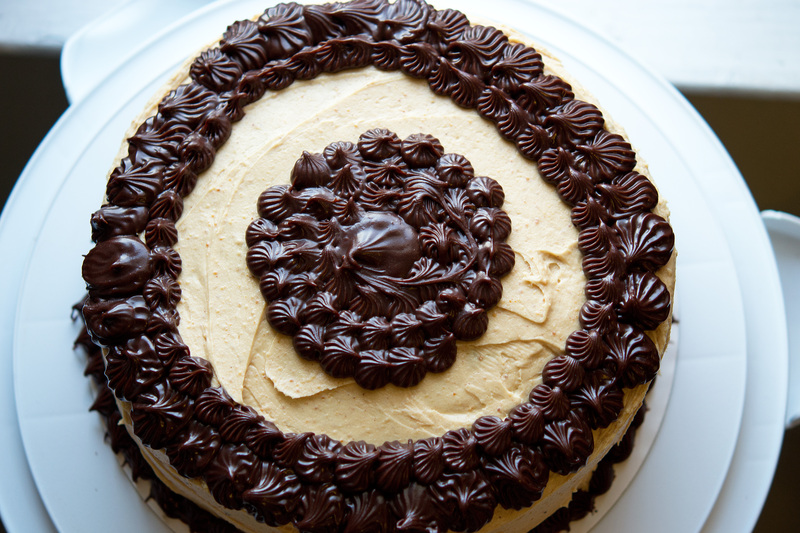 This Dark Chocolate Cake with Peanut Butter Frosting and Chocolate-Peanut Butter Ganache DEFINITELY was just that. 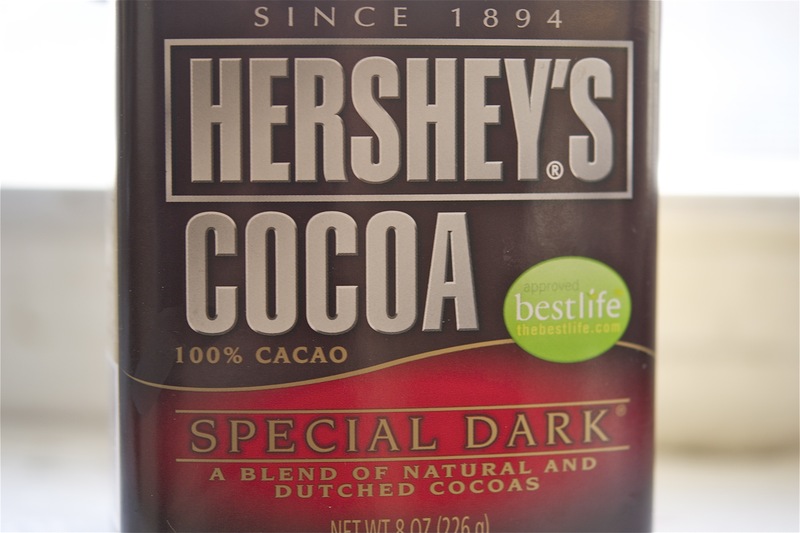 There is dark chocolate, then there is this cake – I decided to give Hershey’s Special Dark cocoa a shot for this cake. The result was a cake that was nearly black. It was a rich cake, no doubt, but my fear that the chocolate flavor would be WAY too intense was unfounded. I’ve discovered that chocolate cakes made with boiling water = amazing. Though it makes the batter appear more like chocolate soup, its function is helping dissolve the cocoa butter fats into the batter, resulting in a smooth, rich finish. 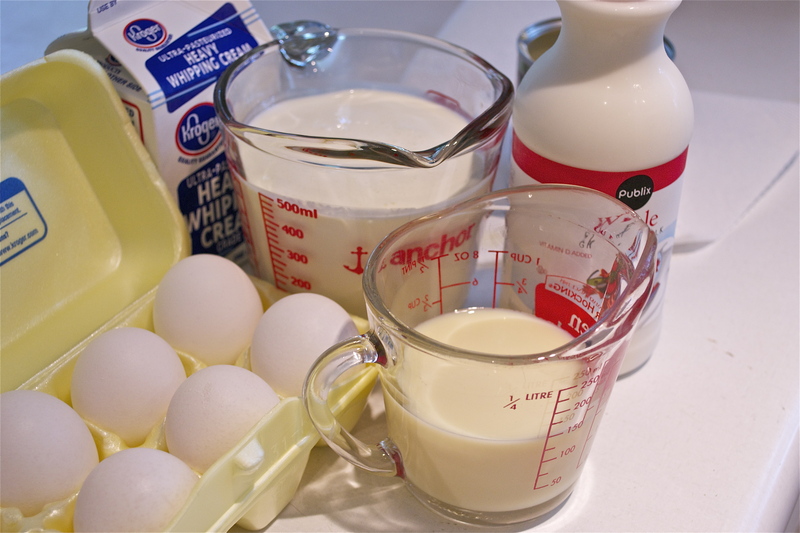 It also means that the cakes will be that much more difficult to remove from your pans, so be prepared with parchment (or grease and flour the pan). The frosting was the winner of this cake – despite having nearly 3 cups of peanut butter, the result was a “light, airy” frosting with just the right amount of sweet and salty. In fact, it might just be one of the best frostings I’ve made yet. 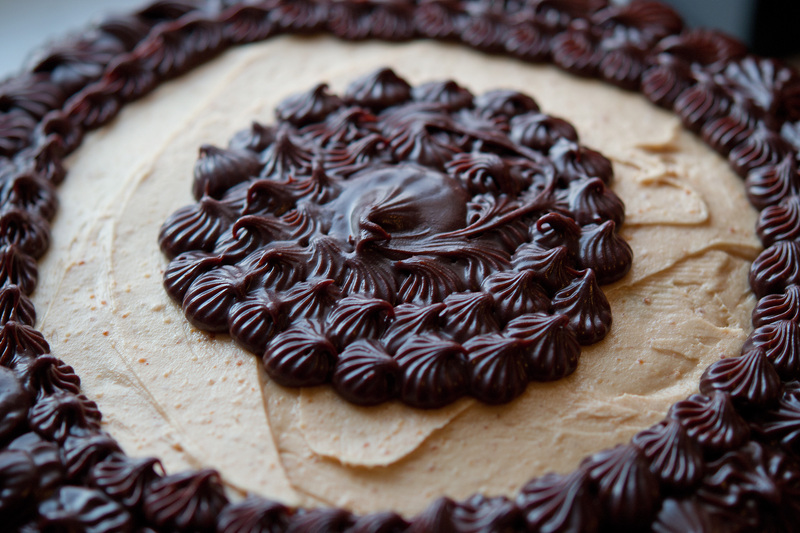 I had originally thought about decorating it with Reese’s Peanut Butter Cups, but chose to make my own chocolate-peanut butter ganache – people were practically licking this stuff off their plates (it was also a gorgeous alternative). All-in-all, this was a fabulous cake that had all the right elements. 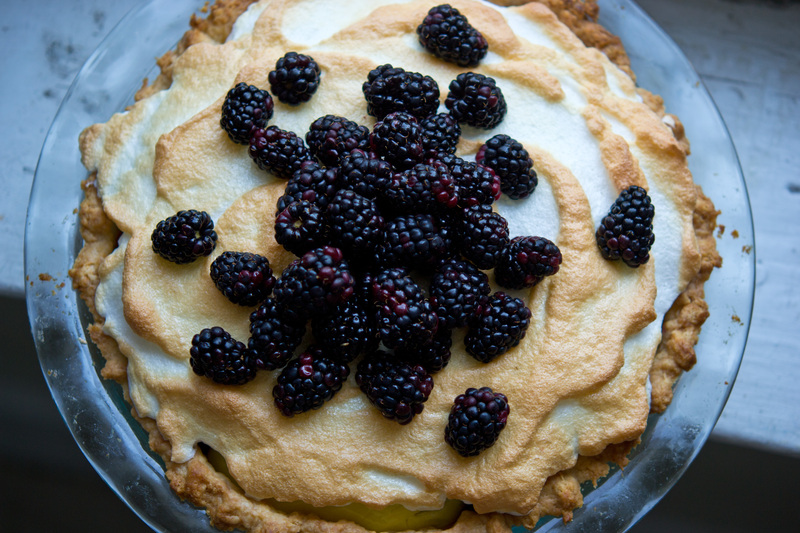 I highly recommend making this…asap – click HERE to see the recipe for this showstopping dessert. To complement the “darkness” of this cake, I thought a piece that has a bit of a dark side would be appropriate. At the same time, it needed to be a work with a certain elegance to mimic the balance of this beautiful cake. This led me to the Czech composer ‪Leoš Janáček‬, whose music is known for both its volatilities and subtleties. The piece I felt would be perfect for this pairing is his String Quartet No. 1. Composed when ‪Janáček‬ was 69, the piece is based on Tolstoy’s novella, “The Kreuzter Sonata” – a dramatic tale of marital distrust, fury and ultimate despair. The piece itself is highly evocative, filled with powerful harmonies that are countered by delicate refrains; a beautiful balance. The recording below is with the Alban Berg Quartet – enjoy! Baking elaborate cakes can be an exciting challenge, but sometimes it’s the simple things that really shine. I had invited a small group over to hang out, and it just so happened to be my friend Kyle’s birthday as well! I wanted to make something quick and easy, knowing that a cake would be too much for a small crowd. 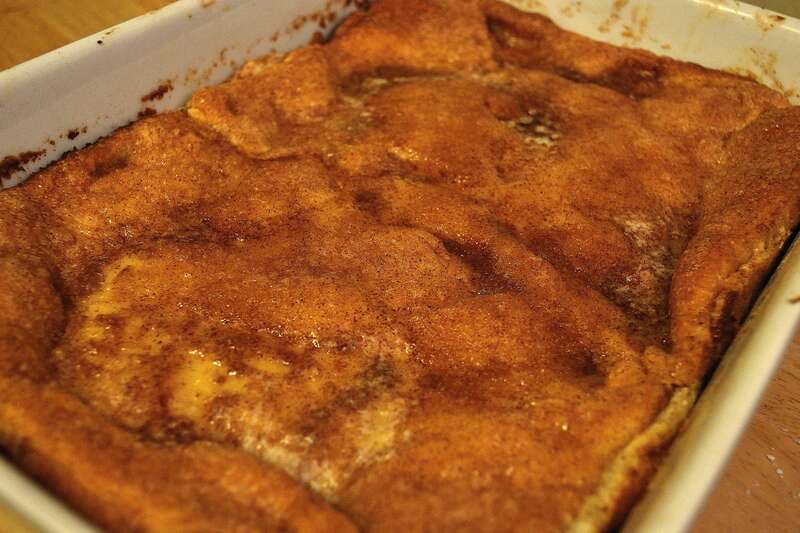 With only seven ingredients, this dessert was shockingly good! 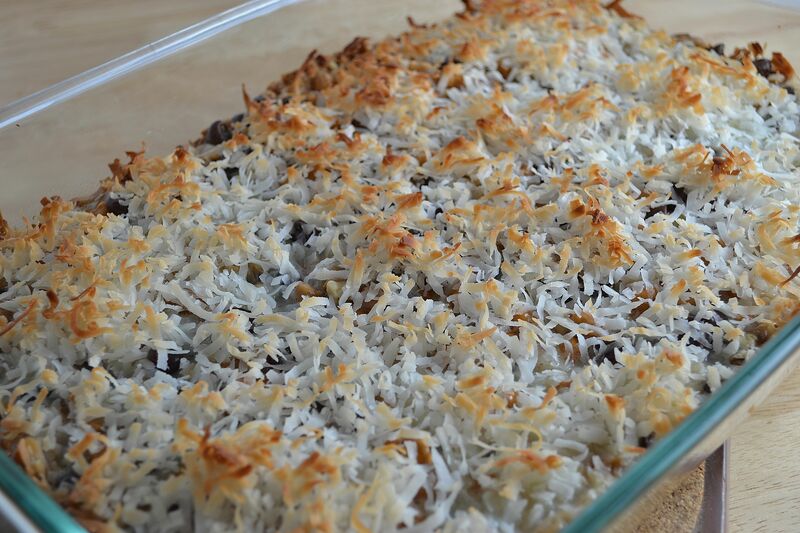 It’s no wonder they are called Seven Layer Magic Bars. 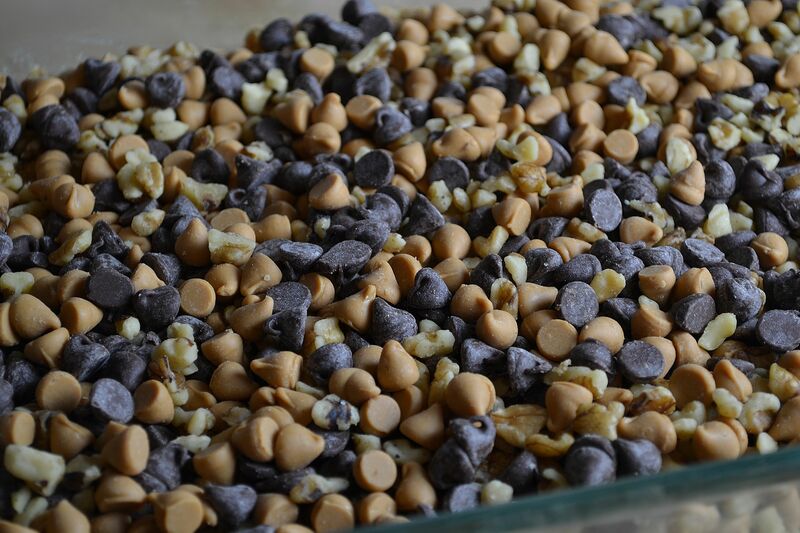 The “magic” in these bars comes from the sweetened condensed milk. 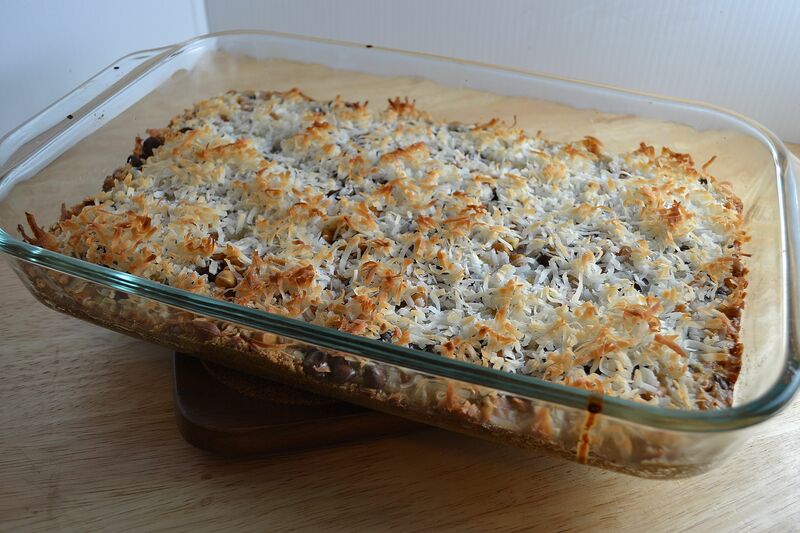 Granted, chocolate and butterscotch combined with walnuts and coconut is pretty fantastic on its own. 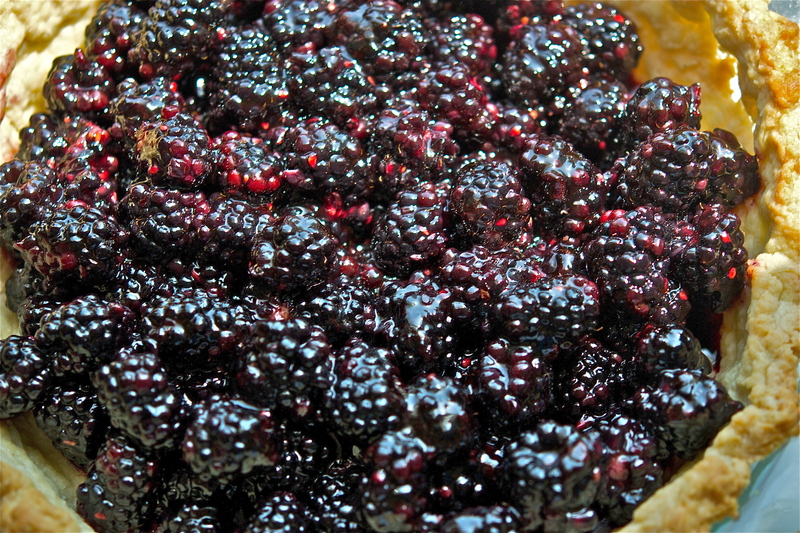 But these all come together thanks to this decadent ingredient. 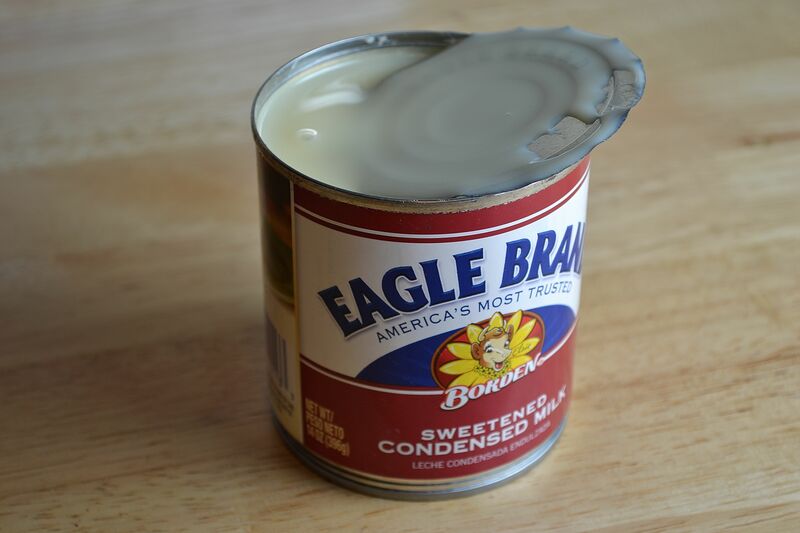 Condensed milk is basically milk from which water has been extracted and sugar added to. 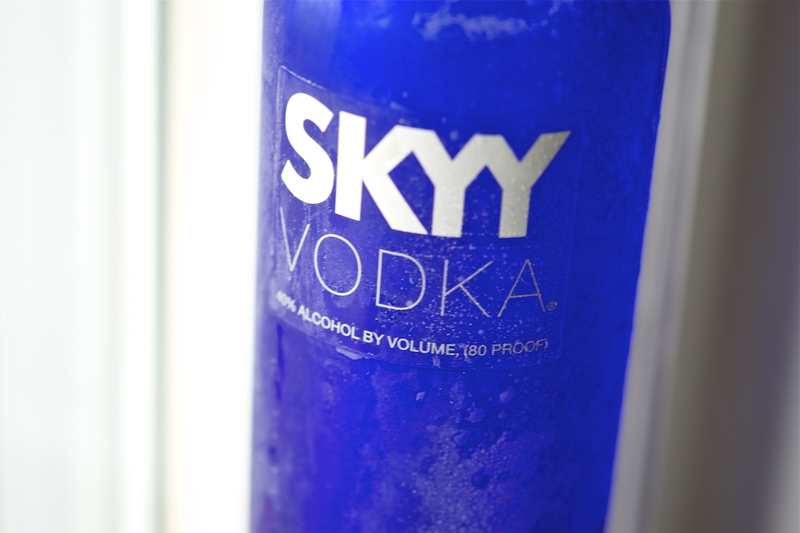 Once canned, it can have a shelf life that lasts for several years. 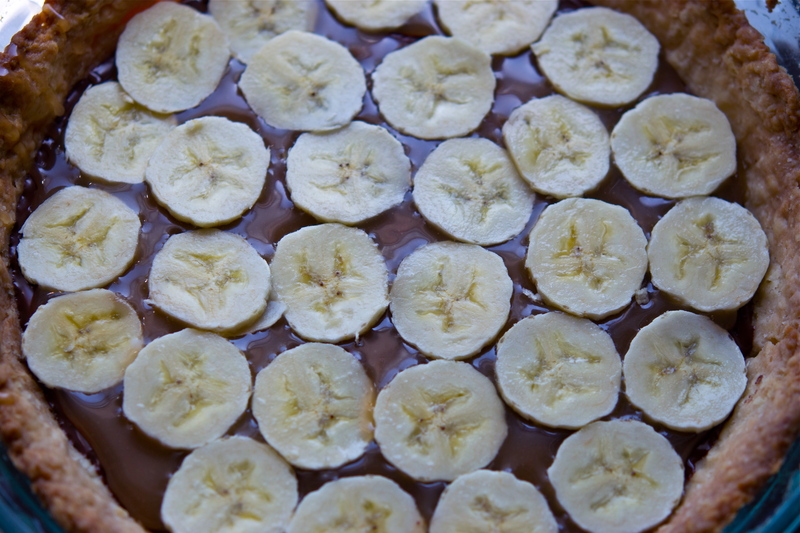 Condensed milk can be found in recipes around the world, from the Brazilian Brigadeiro to the English Banoffee Pie. First appearing in cookbooks in the 1960s, these cookies quickly became and still are Eagle Brand’s most popular recipe. 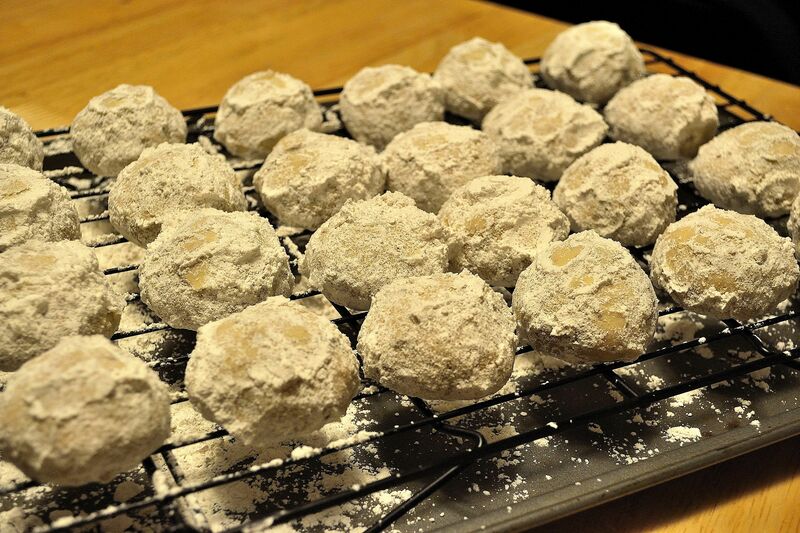 These cookies don’t require any eggs, making them a quick fix for any busy weekday. That being said, they are insanely delicious and definitely worthy of a special occasion. My friends certainly agreed – click HERE to the secret to these wonderful bars! 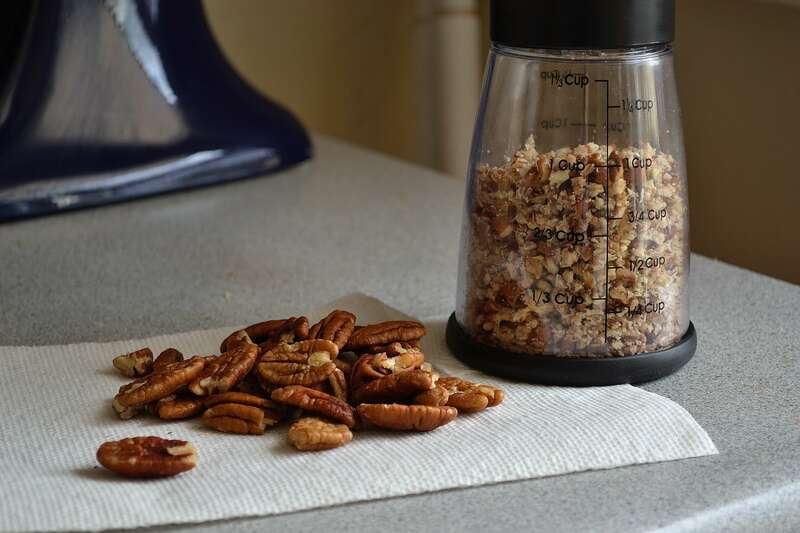 I thought that for a recipe with seven ingredients, a septet would be a great pairing. That led me to the beautiful Introduction and Allegro for Harp, Flute, Clarinet and String Quartet by Maurice Ravel. Ravel wrote the work on a 1905 commission by the Érard company to celebrate its creation of a double-action pedal harp. The work is well-known amongst harpists, resembling more of a miniature “concerto” than a chamber work for the instrument. 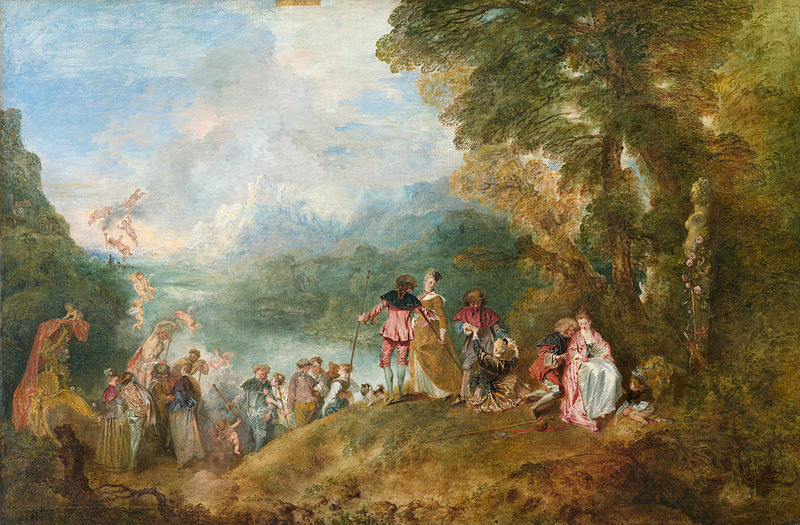 It demonstrates the agility and expressive range of the harp, with the quartet and winds providing colorful context. I performed this work several years ago with my beloved friend, harpist Lucia Stavros (she did a fabulous job, as always!) I hope you enjoy this piece as much as I do! There’s nothing like a surprise party to make a rainy Friday night come to life. 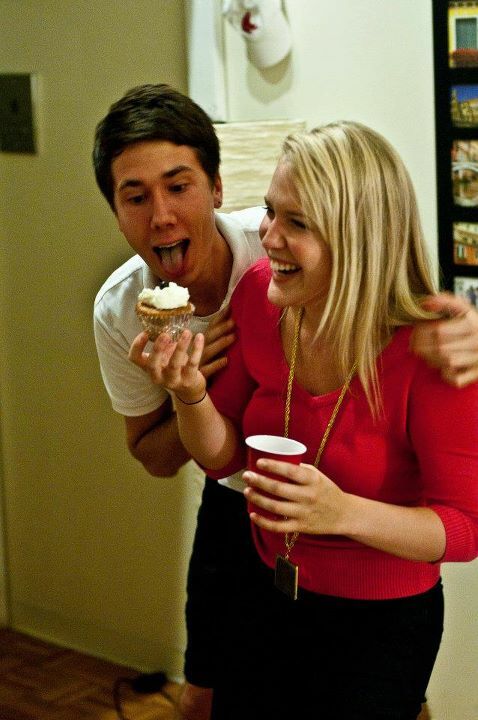 We decided to throw one for my close friend Erika Boysen, and it was a huge success! Somehow we managed to keep it under wraps, and she showed up totally unaware. Lots of great people were there, and there was (of course) tons of food. 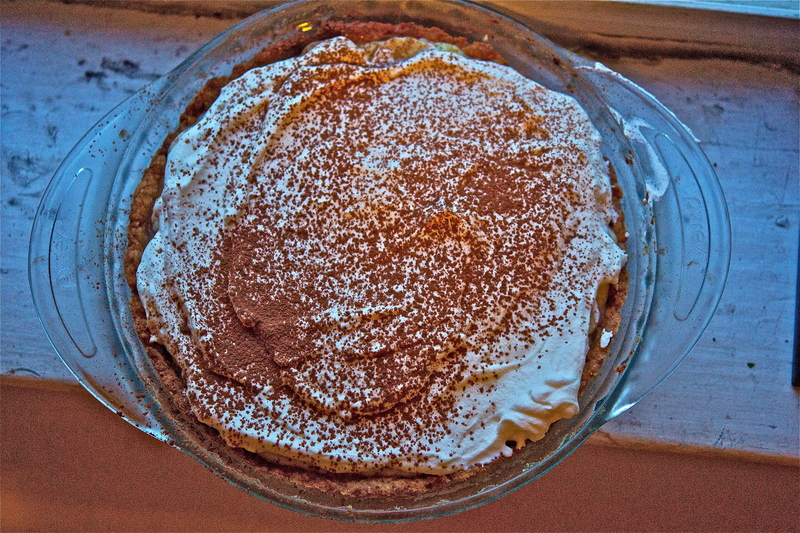 Earlier that week I managed to glean from Erika her love for tiramisu. Since this was going to be a party with lots of people, authentic tiramisu would quickly become a mess so I decided to make Kahlúa Tiramisu Cupcakes. For those of you familiar with making tiramisu, you may be wondering why use Kahlúa instead of Marsala. 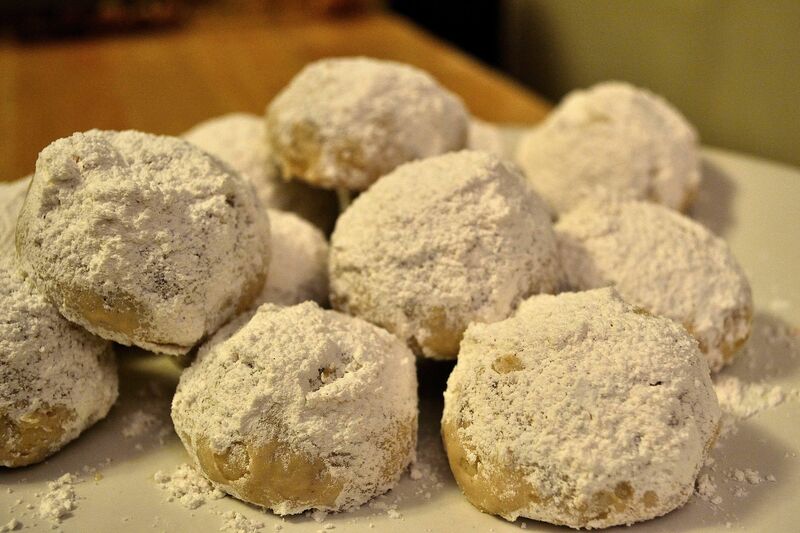 While it’s not the most traditional substitute, Kahlúa gives an extra kick of coffee flavor to these. Plus I also have a giant bottle leftover from brownies I had made a while back…expect more Kahlúa recipes, in other words. 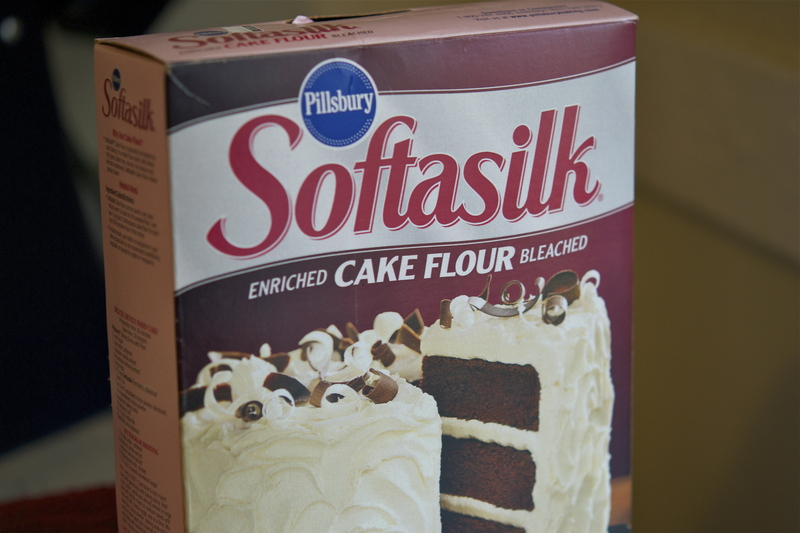 These actual cakes are just like ladyfingers – they are perfect little “sponges” for the coffee-kahlúa syrup. 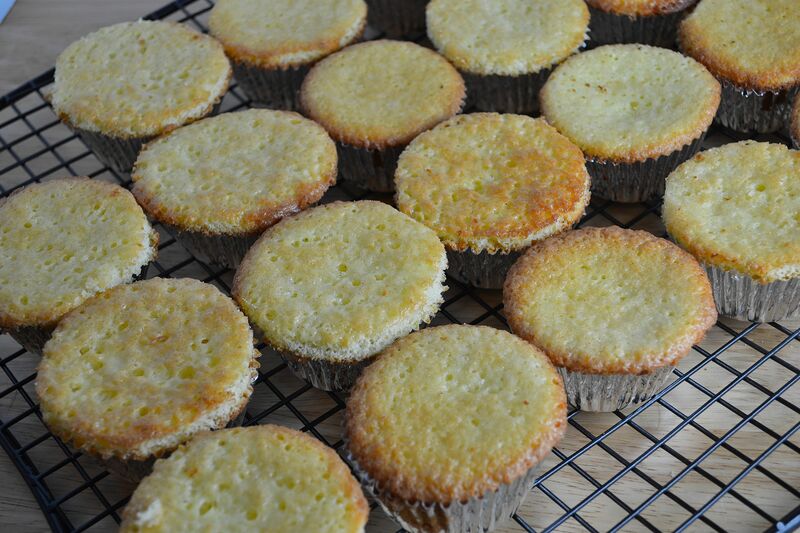 They have a light crumb and bake to a beautiful golden brown. 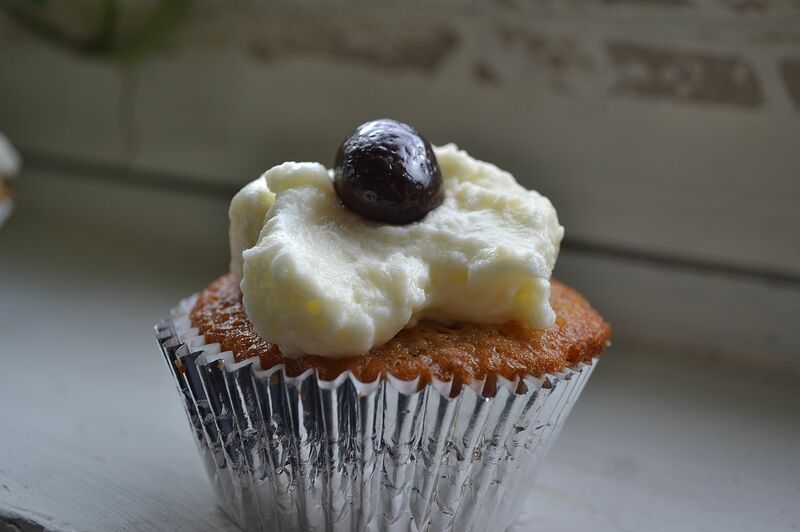 Topped with an airy mascarpone frosting, these cupcakes are just like the real deal. 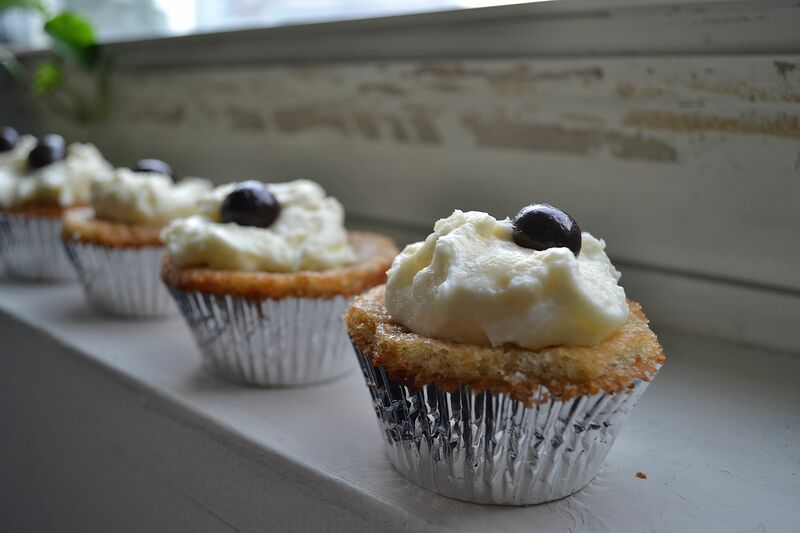 Click HERE to learn how to make these marvelous treats! For pairing this piece, I wanted to honor the birthday girl and feature a work that genuine standard in the flute repertoire: Francis Poulenc’s Flute Sonata. Poulenc composed the work for flutist extraordinaire Jean-Pierre Rampal (whose was often cited as being the authority on stylistic choices by a previous flute teacher that Erika and I shared). As a member of the French group of composers “Les Six,” Poulenc’s music was known for being light and simplistic. The “light” relation to these cupcakes goes without saying. These cakes may have not been simple to make, but they are certainly easy to eat! I’ve included a recording of the first movement performed by Emmanuel Pahud, as well as a fabulous photo of the birthday girl and my friend TJ (thanks Philip!) – enjoy! When you host social gatherings as often as I do, you are left with a bunch of odds and ends in your kitchen: half-eaten bags of chips, nearly depleted salsas, cheeses of every variety, etc. These leftovers often find their way into my culinary creations. More recently, I found myself with a collection of untouched baguettes that were too stale to enjoy, yet too young to toss. My upstairs neighbors also had an untouched leftover: dark rum. 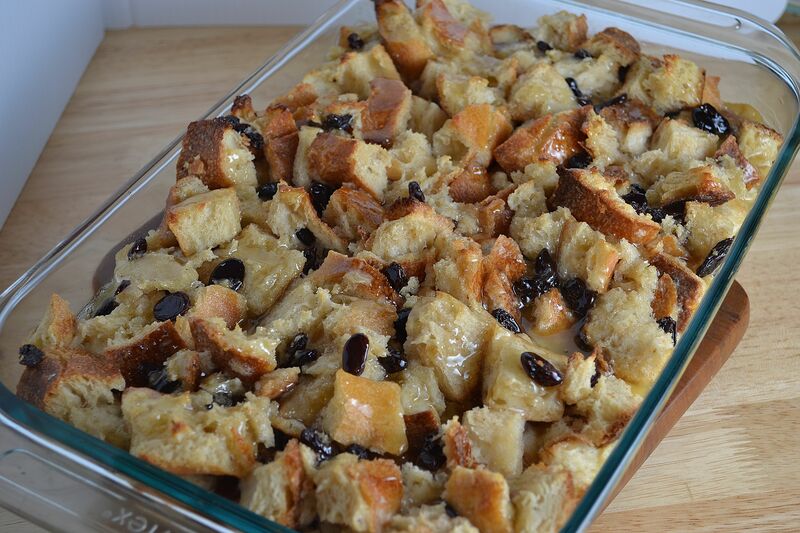 The solution was just too easy: Rum Raisin Bread Pudding. 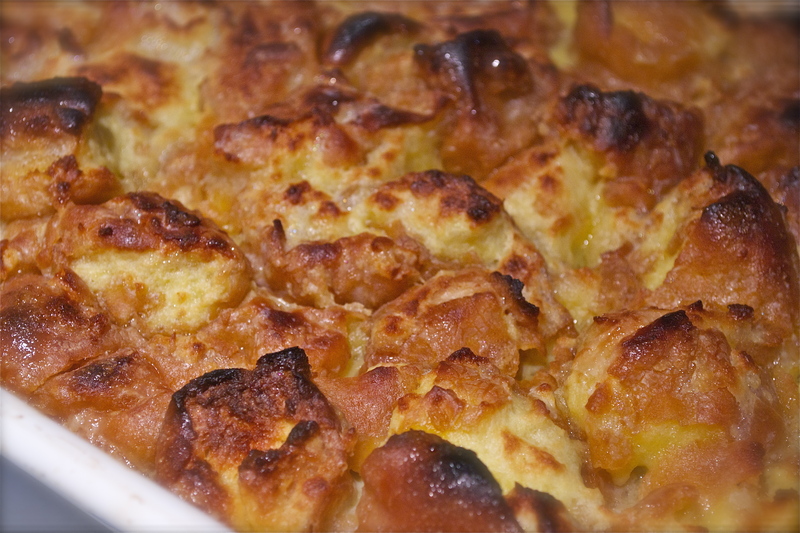 Like many food histories, that of bread pudding isn’t necessarily traceable to a specific region. 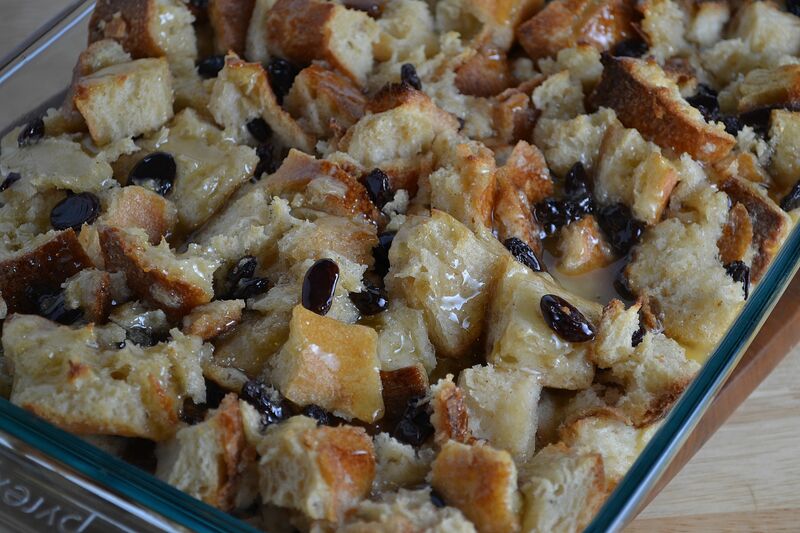 This simple way to use up stale bread finds footing in a number of cuisines, such as European stuffings, Indian Shahi Tukra, and the Spanish Capirotada. 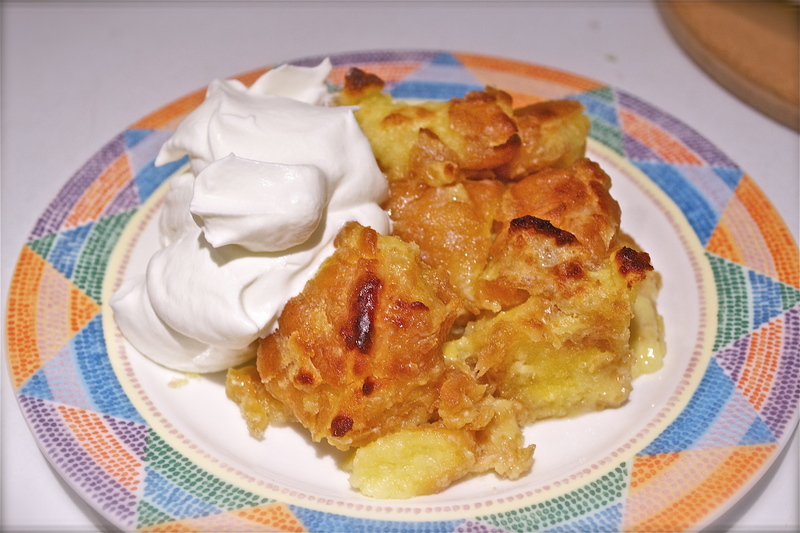 With liquid and sweeteners as a starting point, it’s no wonder that this dessert is such an international delight. With such a simple base, the add-in options are endless: sliced fruits, chocolates, dried fruits, nuts, syrups, the list goes on! 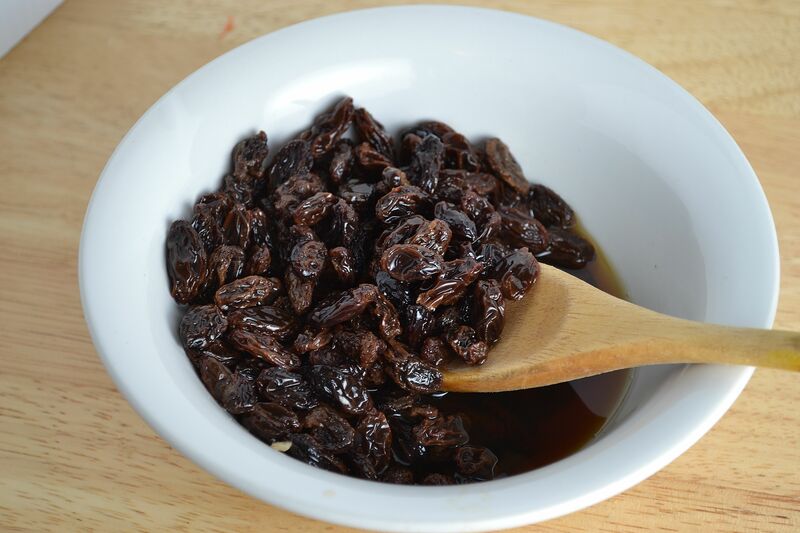 I’ve personally always felt that dried fruits work wonders in bread pudding, and the thought of rum raisins was a hard one to shake. I can’t tell you how easy this is for being SOOO good! My only confession on this dish: the sauce was a near-disaster (rum bubbling over saucepan = unexpected flambé!). PLEASE remove the pan from the heat before adding the rum. 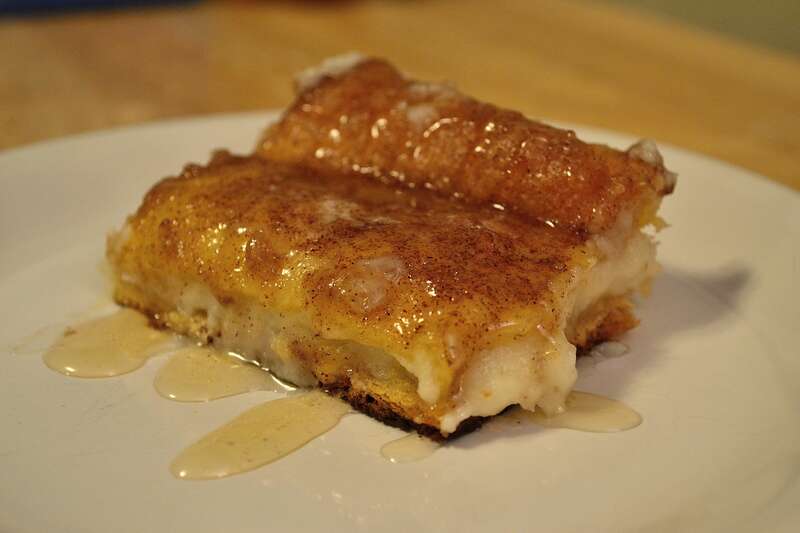 That being said, the sauce made this pudding Oh.So.Good – Click HERE to make this simple, delectable treat today! Though he’s been paired several times on this blog already, Debussy is yet again a composer whose music most suitably fits this dish. Though rather than the qualities of his style, my pairing refers more to his actual influences. As this dish is arguably “a worldly staple,” I wanted a composer who drew from international influences. Debussy is a wonderful example, with a wide range of cultural inspirations: Russian music by prominent composers of his time, the works of English painter Joseph Turner and Japanese artist Hokusai, gamelan music of Java (which he experienced at Paris’s Exposition Universelle in 1889), the German composer Richard Wagner, an extensive selection of literature, etc. The work I chose exhibits a number of “exotic” influences: Estampes. This work, for solo piano, consists of three movements that reflect a variety of cultures. The first movement (which I’ve included here) is structured on pentatonic scales and hints at melodies redolent of East Asia. The second draws inspiration from Spanish styles, while the third reflects on his native France – enjoy!